I made a new zine to keep me going while I'm working on a new issue of my personal zine. I did a numbered edition of 50, and they're all gone! I don't even have one! It's full of drawings and random writings (notes on temporary forced non-monogamy as seen in The Bachelor TV show, the universe personified, etc), and maybe I'll do a second run someday! 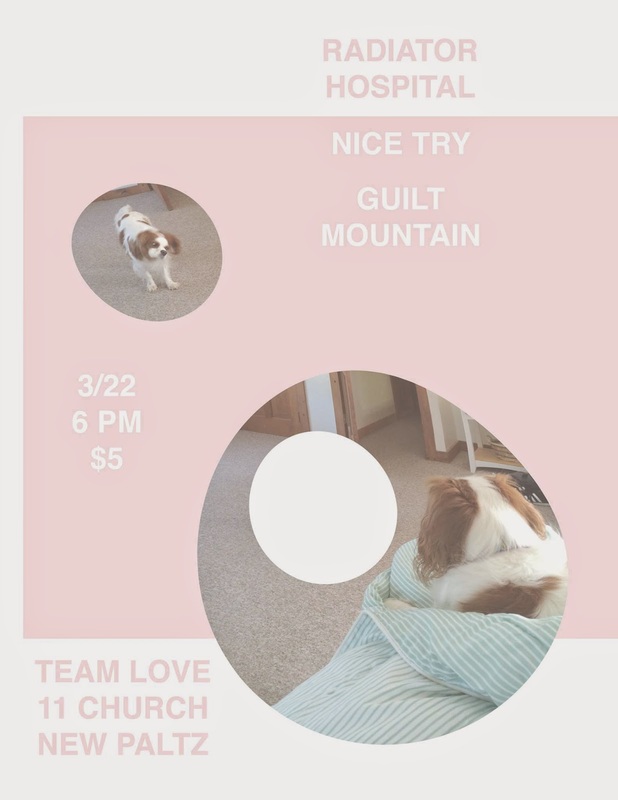 Matt and I played a guilt mountain set at Team Love with Radiator Hospital and Nice Try! It was a good time, duh. I was selected as a resident at Roberts St. Social Center in Halifax, Nova Scotia for this year! I'll be there for three weeks this August working on a new project of a new zine and new recordings. 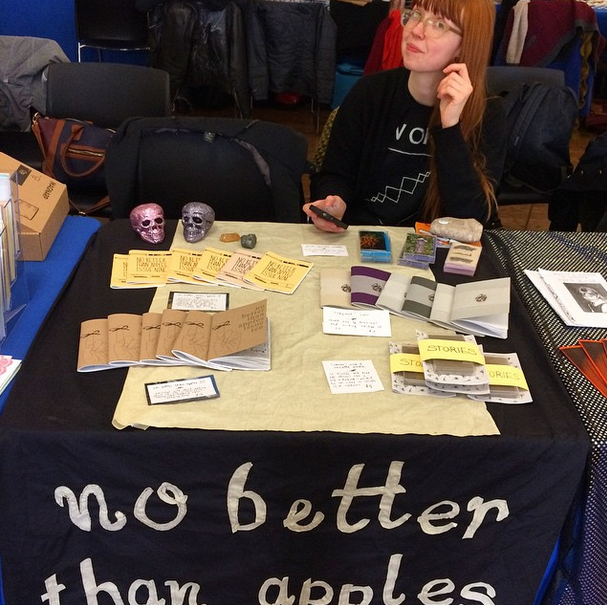 I tabled at the NYC Feminist Zine Fest, it was nice. Coming up this year I'll be tabling at some other zine fests: Brooklyn Zine Fest in late April, Chicago Zine Fest in early May, and Portland Zine Symposium in Mid-July. Working on a long-term music project with Sarah where we write & record a song together every time we visit one another. She's in Montreal and I'm here in the Hudson Valley, so it'll be awhile til we get enough songs together to let them roam free in the world, but I'm excited for the day that it finally does happen. 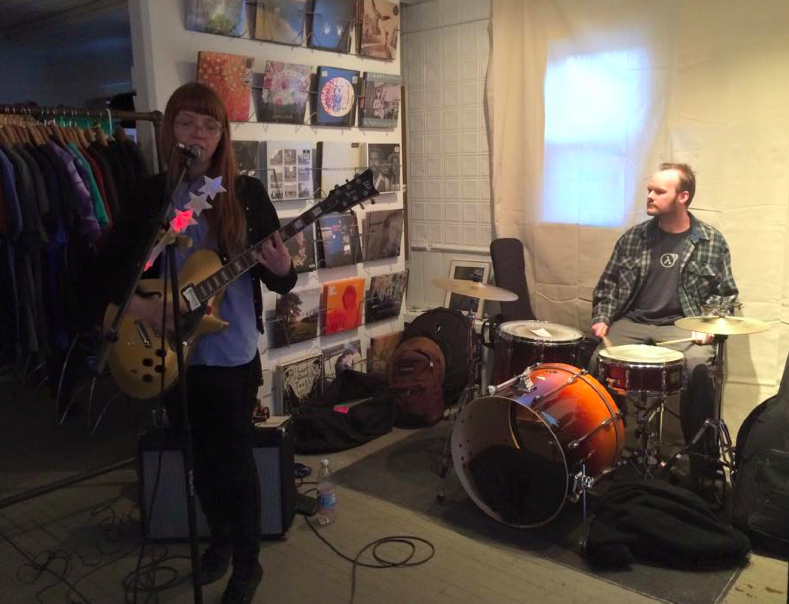 An old Klessa set was posted recently, one from a Plattsburgh show way back in 2011. It's got live recordings of two songs (track 2 & 4) that we had just written and never made it on a proper recording, which is sorta cool! The recording quality is real nice & just done on a cassette recorder.